What is a QR Code and why does my restaurant need one? QR Codes, or Quick Response Codes, are a special type of barcode that has been around for over 10 years. QR Codes have many uses but the one that is on the front of the mobile revolution is giving the ability of a smartphone user to quickly and easily get access to information with a single click. From accessing your mobile site (what OpenMenu provides), to sending an instant message, QR Codes make it easy for customers to get access to what is important to them. Does my restaurant need a QR Code? Yes. Having a QR Code displayed means customers can quickly and easily get access to your restaurant’s information and mobile menu. Putting a QR Code in your restaurant’s window or on the door means a customer can use their smartphone to quickly see your menu. One-click and your restaurant’s mobile website is pulled up for them. What do I do once I have a QR Code? Place the QR Code everywhere your customers may be looking to get access to your restaurant’s menu and information from their smartphone. Suggestions: On the door or window of your restaurant, on marketing material for your restaurant, any ads you may be placing. These are just a few of the many places that will help your customers quickly get to the information they’re interested in. Where do I get a QR Code for a restaurant? Click the restaurant’s name from OpenMenu Creator and you’ll see the options for downloading a QR code for your restaurant in various sizes. 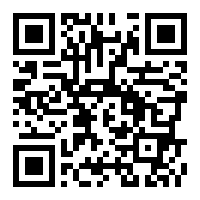 Feel free to point your smartphone’s QR reader to the sample on this page. You’ll be taken to our sample restaurant’s mobile site. 4 Responses to What is a QR Code and why does my restaurant need one?